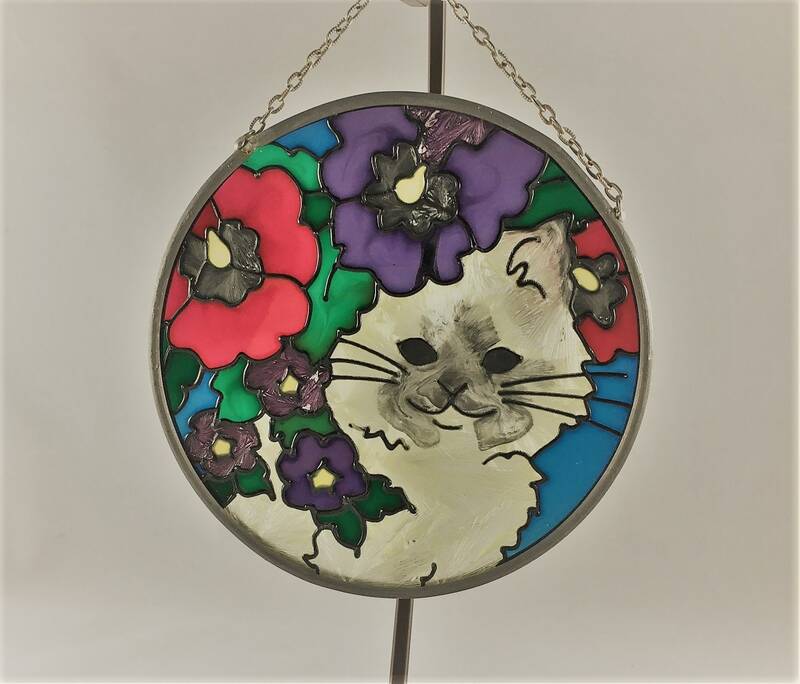 Featured is a beautiful stained glass piece that's just perfect for a cat lover. This sun catcher measures about 4 inches in diameter. 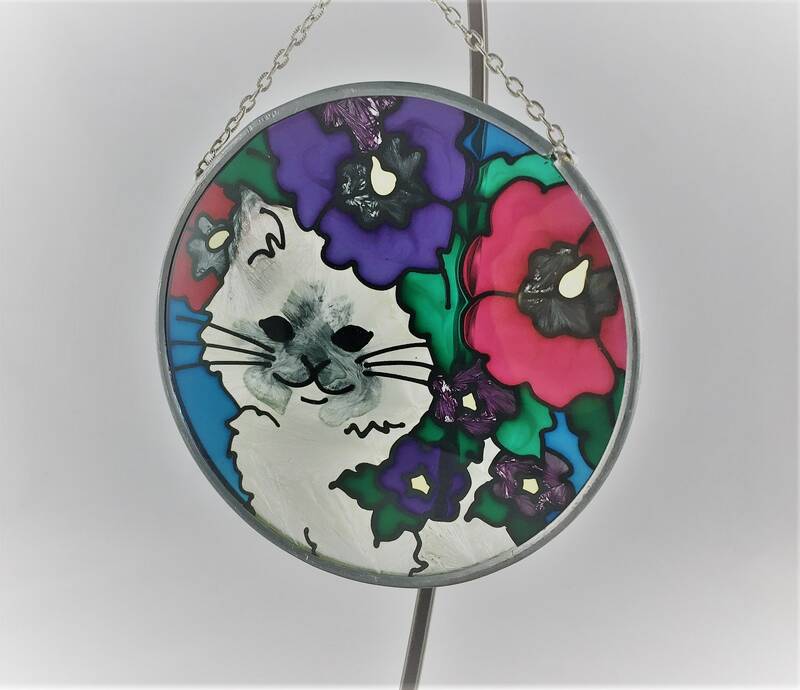 It depicts a fluffy white kitty surrounded by flowers. Great bold colors, blues, purples, and reds and greens. This piece really sparkles in the sun. Includes an attached chain for hanging. Note: Does not include metal hanging stand used in the pictures.